programmes as particularly effective. “LEGO does not just pay lip service to CSR but it builds programmes that support the premise of learning through play,” he added. 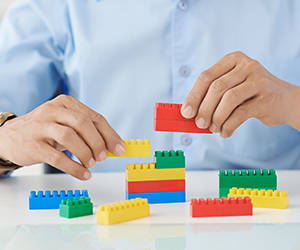 LEGO’s strong reputation for CSR and ethical behaviour is partly because of the tone which comes from the top of the company, according to Stephen Hahn-Griffiths of the Reputation Institute. “Jørgen Knudstorp [LEGO’s executive chairman and former CEO] is basically living and breathing the LEGO brand and its commitment to social responsibility,” he said. Mr Hahn-Griffiths said the Reputation Institute has noticed a clear trend towards investors and consumers expecting CEOs to take a stand on important ethical, social and environmental issues. “The CEO is the lightning rod for how a company is viewed and needs to take a stand on things that matter,” he said. Introducing a company-wide commitment to CSR requires a lot of work—it is anything but ‘child’s play’. But the case of LEGO should show other CEOs that it brings rewards.